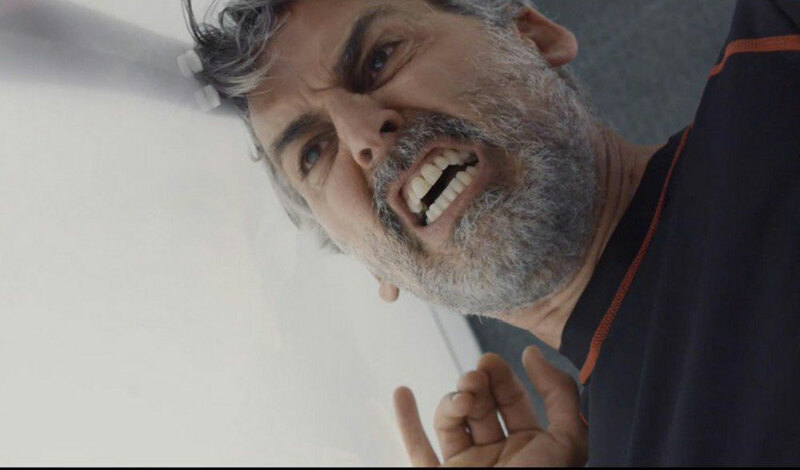 “White Chamber” is a sci-fi thriller that attempts some really interesting things with mixed results, but is ultimately a compelling dystopian tale. White Chamber is a well-intentioned and largely successful piece of dystopian fiction does many things well. 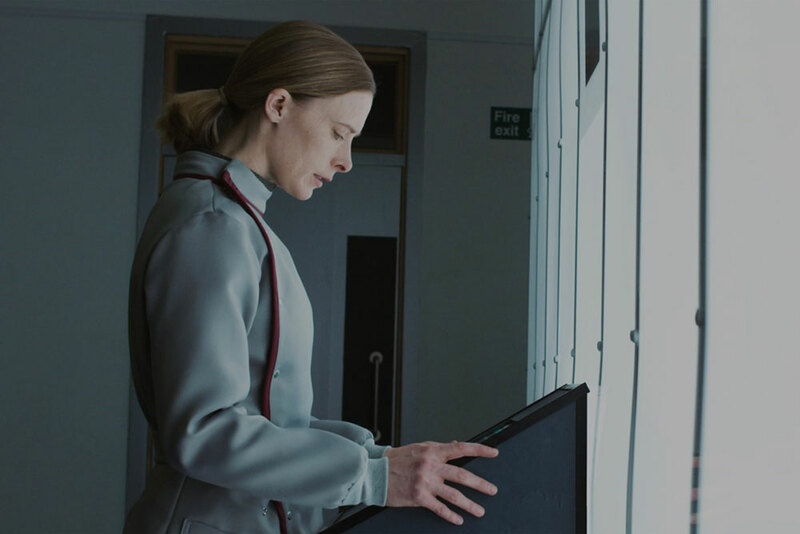 One is giving us Shauna Macdonald (equally memorable in The Descent) as a seemingly low-level functionary in a repressive UK government of the near future. In the opening moments, she is under interrogation and torture by a leader of its revolutionary opposite (Oded Fehr) in the titular chamber. Another is the turn it takes (and it’s an early one, so no fear of spoilers) whereby we flash back to see their positions were initially reversed — and that Macdonald’s a much more prominent official figure than we were led to believe — before it all wraps up on a satisfyingly cynical, ‘meet the new boss’ note. Macdonald does great work in contrasting roles as a Mengele-esque researcher conducting human experiments for the shadowy government and victim. She has a sickly, dissipated look and gives an affecting performance to match; the character is a poisoned spirit indeed. And it turns out her motives go well beyond being a Big Brother loyalist. Also very much to White Chamber’s credit is its refusal to be absolute about good and evil. Macdonald’s no mere monster here; rather an embodiment of the axiom that hurt people hurt people. Fehr’s revolutionary leader is presented as a t-shirt-ready Guevara-type, charismatic and handsome, but it’s made clear the resistance has been taking an ends justify the means approach to the cause and is thus guilty of its own morally questionable acts. And, it may just be me, but it seems writer/director Paul Raschid is doing something thematically cool with twos: two antagonists, two victims, and a pair of twins to go along with the co-leads’ two very different performances. For all White Chamber’s positives, the latter create a clash that’s unfortunately not to the film’s overall advantage. Macdonald is all grit and psychic pain but Fehr’s performance struck me as misjudged. He delivers something that seems to have sprung from a far less thoughtful movie. Perhaps one of the less distinguished ones on his own resume; Resident Evil: Extinction, for instance. He’s introduced in voiceover during a brief prologue giving a speech that is meant to sound stirring but is frankly hammy in execution. And he gets no better from there. Not to suggest Fehr is due any kind of blame for having been born classically handsome, but neither he nor the makeup department seem to have put much effort into capturing the effects when he’s on the wrong end of the torture. He never begins to look truly haunted, let alone tired, haggard, or even especially unkempt, which is distancing for the viewer. He plays prisoner in sarcastic DTV action hero mode, defiantly telling the scientists to “bring it on” and uttering other such macho B-movie banalities rather than leaning into any of the psychological complexity inherent in the scenario. When an experimental drug is in the picture, Fehr has license to go even further over-the-top, and it’s not pretty. As Macdonald’s interrogator, his line delivery is so unsubtle as to make one wonder why he doesn’t have a First World War-vintage moustache to twirl. To be fair, inconsistent scripting must also bear some of the responsibility for these issues. In all, Raschid and company have given us a model of imagination overcoming budgetary limitations. 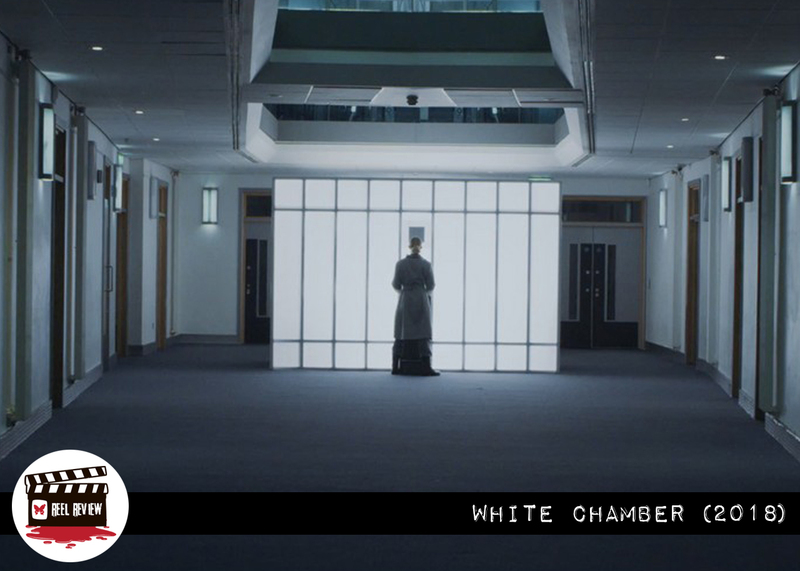 White Chamber makes the most of its single location like nothing else since Cube and does almost as good a job of serving up some intellectual gristle to chew on. It also falls disappointingly short of greatness. Worth streaming on an inclement afternoon, sure, and not likely to stick with you all that long, but compelling enough that the writer-director emerges as a name to watch. You can watch it beginning March 29 when the film comes to select theaters and VOD courtesy of Dark Sky Films.